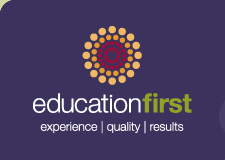 For the past two years, Education First has facilitated a community of practice of five teacher preparation technical assistance centers–Massachusetts Department of Elementary and Secondary Education, National Center for Teacher Residencies, TeacherSquared, TeachingWorks and University-School Partnerships for the Renewal of Educator Prep–working to reimagine the way teachers are prepared for the classroom. As part of their work on this project, Centers created tools and resources to support teacher preparation programs. Teacher preparation program staff and other audiences–including policymakers, supervisors and mentor teachers–can use these toolkits to improve their programming and offer high-impact learning experiences to teacher candidates. Each tool and resource is labeled with its intended audience. This entry was posted in Teacher Preparation and tagged community organizing, data use, education issues, online resources, professional development, teacher effectiveness, teacher preparation. Bookmark the permalink.